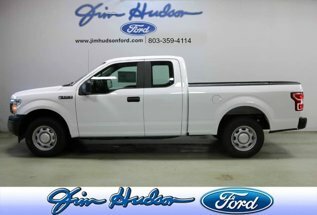 Take home this Ford F-150 XL 4WD SuperCrew 5.5' Box, and you will have the power of 4WD. It's a great feature when you need to drive over tricky terrain or through inclement weather. There is no reason why you shouldn't buy this Ford F-150 XL 4WD SuperCrew 5.5' Box. It is incomparable for the price and quality.